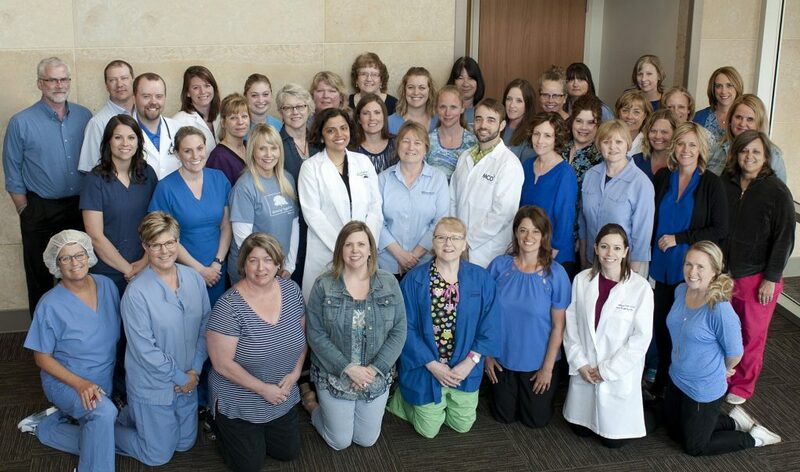 Riverwood ranks among Top 20 Critical Access Hospitals in U.S.
For the second year in a row, Riverwood Healthcare Center in Aitkin, Minn., has been named one of the Top 20 Critical Access Hospitals (CAHs) in the United States. The Top 20 Critical Access Hospitals, including Riverwood, scored best among critical access hospitals nationwide as determined by The Chartis Center for Rural Health. The rankings were recently announced by the National Rural Health Association (NRHA). The Top 20 Critical Access Hospital “winners” are those hospitals that have achieved success in the overall performance based on a composite rating from eight indices of strength: inpatient market share, outpatient market share, quality, outcomes, patient perspectives, cost, charge and financial stability. This group was selected from The Chartis Center for Rural Health’s 2018 Top 100 Critical Access Hospitals list, which was released earlier this year. Riverwood made the Top 100 list for the fifth time in 2018. Patient perspective index: A rating of hospital performance based on the percentile rank on two Hospital Compare HCAHPS measures (“Overall Rating” and “Highly Recommend”). An awards ceremony to honor the Top 20 Critical Access Hospitals will be held during NRHA’s Critical Access Hospital Conference in September in Kansas City, Mo. There are 1,346 critical access hospitals located throughout the United States, with 78 in Minnesota. “Critical Access Hospital” is a designation given to certain rural hospitals by the Centers for Medicare and Medicaid Services to reduce the financial vulnerability of rural hospitals and improve access to health care by keeping essential services in rural communities. This is accomplished through cost-based Medicare reimbursement. This entry was posted in News & Information and tagged Chartis Center for Rural Health, Minnesota hospitals, National Rural Health Association, nationally recognized hospitals, northern Minnesota, Riverwood Healthcare, top critical access hospitals in USA. Bookmark the permalink.